I’ll be back next week with more online marketing news! In the meantime, send your thoughts and ideas to me @Tiffani_Allen or @toprank! 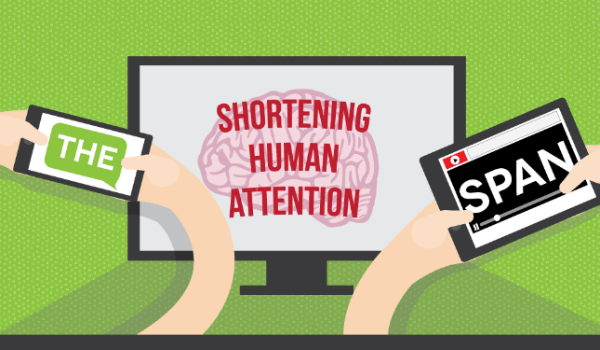 The post Online Marketing News: Short Attention Spans, Google Feed Rules, Starbucks Emojis appeared first on Online Marketing Blog – TopRank®. Have you ever watched a reality competition? You know, one of those Survivor-style shows that puts strangers in a stressful situation to battle for a last-person-standing prize? The funny thing is, in all the hours I wisely invested watching would-be models snipe at each other, no one who said that ever won. Not once. In fact, they tended to get kicked off earlier than anyone else. It’s easy for marketers to feel like we’re not here to make friends. Even in influencer marketing, it’s all about that ROI. Influencer, you get me what I need, we’ll compensate you, and that’s the end of it. We’re here to win. But just like the models and aspiring pop idols of the world, you’ll find that putting effort into building friendships pays off in the end. If you want influencers who are excited about working with you, creating work they’re excited to promote, it pays to cultivate a friendship. Not just from a, “it’s nicer to work with people when you’re nice” angle, either-it’s better for the business side, too. Here are three ways you can cultivate friendships with your influencers. This is a piece of advice I’ve given to marketers thinking about their customers, but it applies to influencers as well. Yes, you’re vetting the influencer for the size of their audience and if their audience aligns with your message. But while you’re doing that, consider what they do when they’re not answering your email. What are they like? Do they have a good sense of humor? What are their hobbies? Do they talk about their family, their pets, their collection of vintage chainsaws? What kind of music are they into? What movies do they love? It’s worth doing a little digging to find out. And I don’t mean just social media stalking, either. These questions can start a conversation you might not have had otherwise. We all love talking about ourselves-give them a chance to share interests you might have in common. Last December, I got a greeting card in the mail. It had my name and addresses hand-written on the envelope, but no return address. Intrigued, I opened it to read: “Best holiday wishes to you and yours from your friends at [Insurance Company].” I looked at the envelope again, and this time could tell their hand-written address was just a handwriting font. Just like that, any illusion of personal interest they were trying to create was gone. With your influencers, it’s worth taking time to express a genuine personal interest. Let your correspondence show that you have taken time to learn something about them. Send a meme that made you laugh, that you know they would love. Send them a vintage chainsaw to add to their collection. That thoughtfulness goes a long way. Just make sure you do your homework under point #1, so you’re not faking the funk. You wouldn’t want to send chocolates to a diabetic, or a vintage chainsaw to someone who collects old Happy Meal toys. That’s just a waste of a good chainsaw. 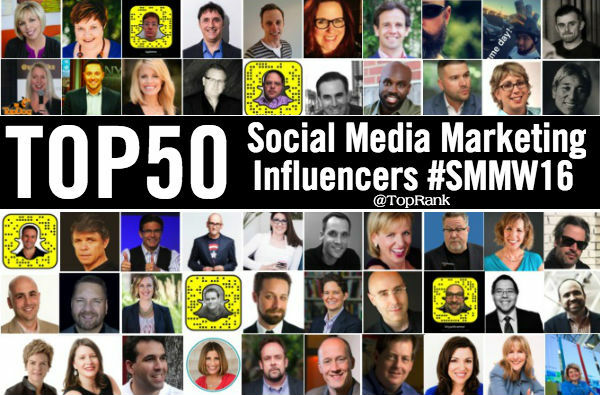 At TopRank, we try to involve influencers in the creation process as actively as possible. We make sure influencers know exactly what project we’re working on, why we would love their input, and which other influencers are already on board. We keep the enthusiasm up throughout the process with progress reports. We show them the finished project before we publish it so they can make final edits. And we always make sure to message them right before the project posts, to make it easy for them to promote it. Compare that approach to simply saying, “Hey, can we get a quote about Happy Meal toys for a blog,” followed by…well, no follow-up at all. There’s no comparison. Let’s face it: We are here to make friends. In marketing, as in life, friends make good things even better. So to help you cultivate lasting friendships with the influencers in your life, we created this cute-but-serious storybook with some key points to keep in mind. Read it to your kids before bed tonight…or to your significant other while you’re binge-watching America’s Next Top Model. 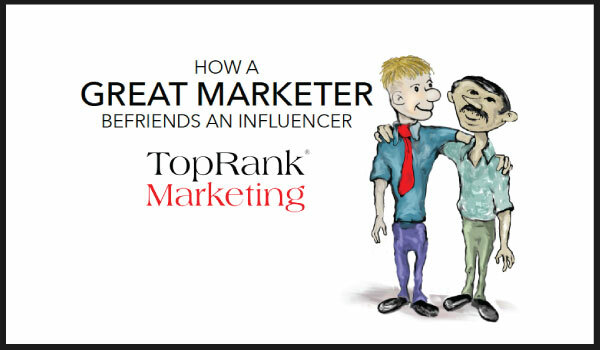 The post How a GREAT Marketer Befriends an Influencer appeared first on Online Marketing Blog – TopRank®. 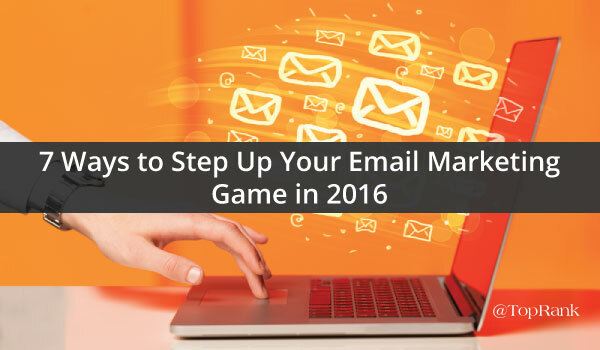 The post 7 Ways to Step Up Your Email Marketing Game in 2016 appeared first on Online Marketing Blog – TopRank®. There was a popular article on TechCrunch recently claiming marketers in the inbound and content marketing space have no idea what they are doing and don’t know marketing. For some, that might be true. When you’re not viewing the world through the lens of a cynic, it’s amazing what you see. Marketers at companies all over the world are planning, implementing and optimizing customer and content centric marketing programs that are achieving results. 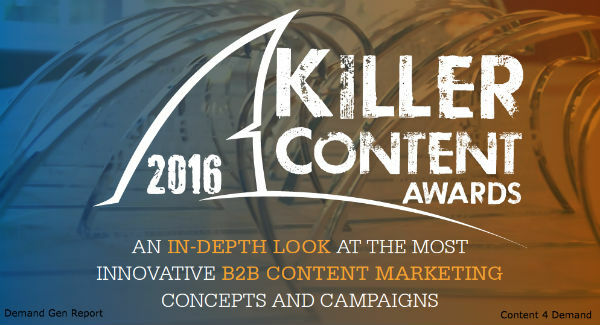 For example, each year at the Content 2 Conversion conference, the Killer Content Awards recognize B2B marketers implementing effective content marketing campaigns. And each year, we highlight many of those examples here. While there are those vested in “being right” and debating the merits of the 4 P’s, there are companies creating useful information customers are looking for every day. Information that educates and helps buyers lead themselves to the conclusion to buy (60-90% of the way at least). 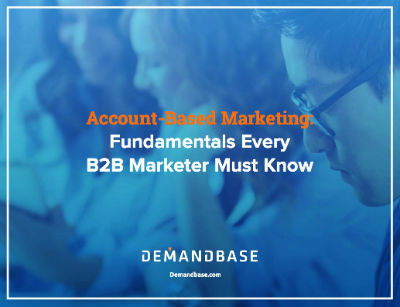 For examples that you can actually learn from, here are 38 B2B content marketing campaigns from major brands including American Express, Dell, Waste Management, Cox Media, Optum, Cisco, Alcatel-Lucent, SAP, IBM, NASDAQ, Glassdoor, Demandbase, Oracle, LinkedIn, Thermo-Fisher Scientific, Salesforce, Zendesk, Comcast and more, each including: an approach, a link to the creative / content assets and provided results. 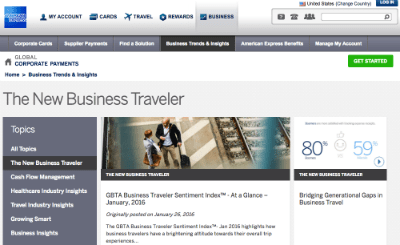 Project: American Express partnered with the Global Business Travel Association to create a research report on the satisfaction of business travelers. Through the development of a content hub featuring original research, blog posts, listicles, infographics and event presentations, the goal was to educate companies and suppliers about expense management and technology. 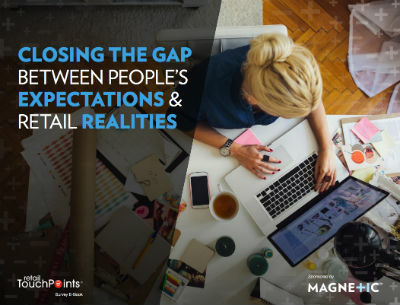 Project: A survey of 100 retailers and 200 North American consumers provided data to create an ebook: Closing the Gap Between People’s Expectations and Retail Realities that uncovered how retailers engage with consumers across channels and how shoppers respond. 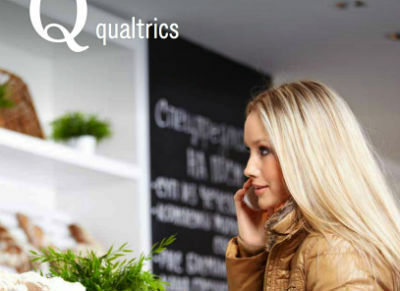 Project: To position itself as a thought leader of VoC solutions, a white paper was developed helping to define and validate VoC with research, offering how-tos and tips for lowering costs. 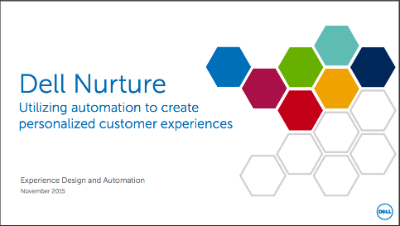 Project: Dell developed a nurture program supported by more than 18,000 global module content elements featuring over 1,200 assets. The assets supported 22 solution topics across 10 global programs. All of this was designed to stand out against competitors, align content to customer journey stage and focus on decreasing end-user time investment. Project: To reach small businesses, monthly nurturing emails were created along with landing pages and microsite where interactions with content determined placement in an accelerated nurture with top 10 lists, how-to guides and other resources. Project: A content-based drip campaign including thought leadership content, industry trends, challenges and lessons learned was developed to cross-sell services to an existing customer base. 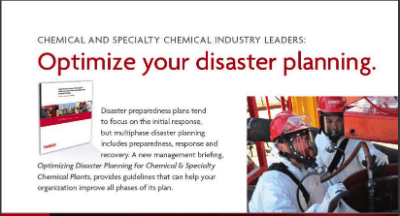 Content types included: Articles, Fact Sheets, Podcasts, White papers, Infographics, Interactive checklists, case studies and real-world events. 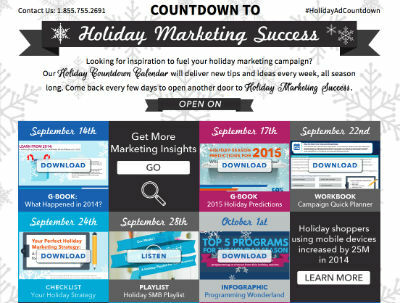 Project: To increase engagement amongst prospective clients, a holiday advertising “countdown calendar” was created to help local businesses plan their marketing. 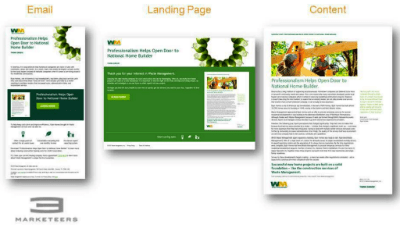 Content types included: checklists, workbooks, videos, infographics, and graphic ebooks. Content was amplified with social ads and blog posts. Project: Exploring how companies can better engage employees a multi-touch campaign was launched including several guides, lists, and a SXSW panel. Amplification occurred through a blog, landing pages, social channels, emails, and guest blog post CTAs. 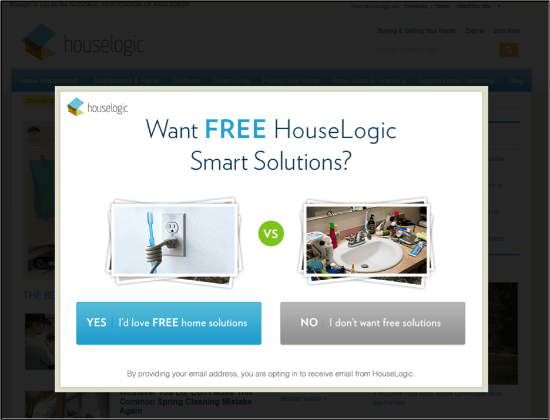 Follow up content was automatically delivered based on reader behaviors and segmentation. 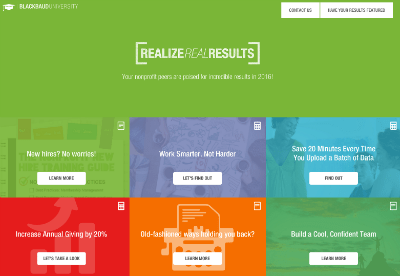 Project: To show their target audience the potential benefits of the offering, a campaign including email, Uberflip, webinars, case studies, infographics, tip-sheets, videos and interactive content powered by SnapApp: calculators, quiz and a survey that worked with existing content. Project: An interactive content experience was created to help healthcare execs and sales people easily find the information they needed to understand changes in the health system. Assets included a web-based tool guiding virtual discussion, and a navigational infographic. 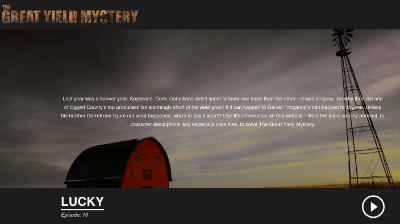 Project: To create awareness of a new offering, The Great Yield Mystery, a 10-episode fictional serialized audio drama (podcast) was created exploring causes of issues that the company’s offering solves. Prizes were given away to listeners. 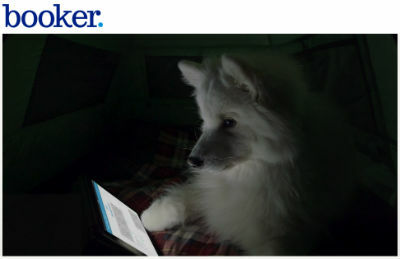 Project: A series of 6 humorous videos were created featuring dogs using the company’s software ‘s show SMBs how to grow their business. 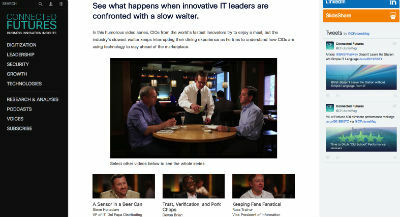 Project: A mock movie trailer called, Fast Innovation and the Slow Waiter, featured CIOs and tech leaders from major companies discussing how they are leveraging technology to grow revenue with a “dim-witted waiter” aka Tim Washer. The humorous trailer linked to the full interviews with the executives. Project: A series of sitcom-styled videos discussing customer problems followed by a series of ebooks mapping out solutions used plain language to engage buyers’ attention. 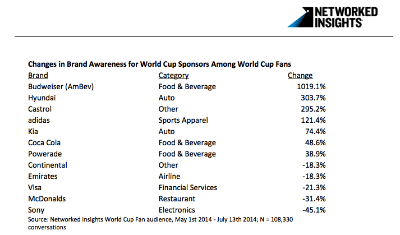 Project: To monitor brand sponsors of the World Cup and those that newsjacked the event, reports were created to highlight winners and losers, hidden audiences, and how media habits changed during the event. 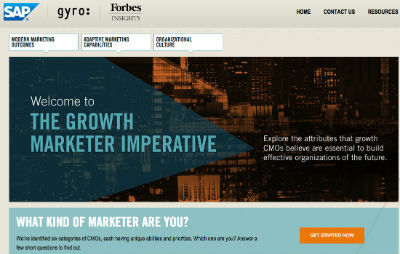 Project: An information hub was created for CMOs to support their role in an entertaining and compelling way. Content types include research and interviews with 300 senior marketing executives, white papers, articles, infographics, SlideShare decks, webinars and videos. Continued engagement via social media, blog posts and emails extended the dialogue with CMOs. 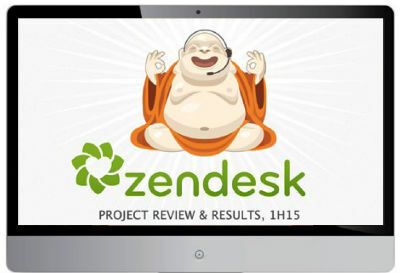 Project: To create demand for a new solution a best practices guide was developed along with email promotions to the customer and prosper database. Project: A website was developed to provide the target audience with original news and analysis that could provide an authentic understanding of the target audience challenges. Project: To create awareness, a robust brief that was previously published was condensed into an interactive infographic. A complex topic was made easy to consume on any device. 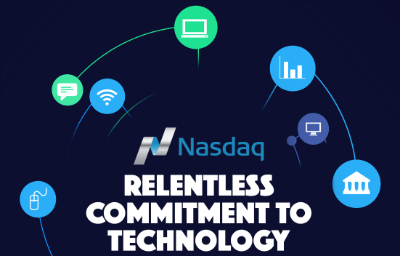 Project: To develop awareness of it’s technology leadership an interactive infographic was developed using Ceros showing a timeline of innovations and milestones. Project: An online platform was created using industry influencers to answer key questions via video interviews. Project: Using a top CEO list, inspirational advice and management best practices were curated into an ebook. Project: To support crowdsourcing content from customers a Awards program was developed to leverage customer generated content: case studies, videos, tweets and LinkedIn posts. Project: An eBook was developed to educated prospects on Account Based Marketing. 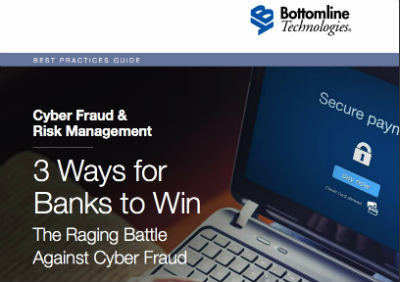 The eBook was repurposed to create an infographic, video, blog post and interactive quiz. Project: To support the sales team engage retail industry companies, decision makers were identified to receive relevant and timely content delivered through rep outreach, marketing emails, direct mail, a webinar and a survey. The program also included infographics, eBooks, reports and blog posts. 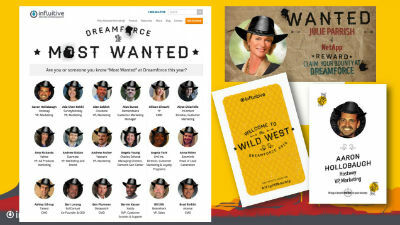 Project: To reach target accounts, an ABM Wild West themed campaign was developed alongside Dreamforce. A Most Wanted list of their 150 top prospects was created and case bounty given when someone brought the executive to the company’s booth. 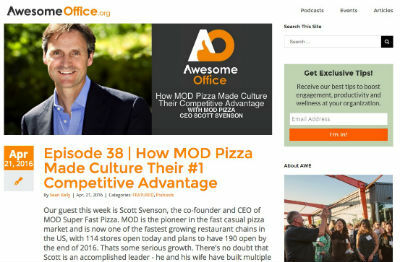 Project: The “Awesome Office Show” podcast was created for CEOs and HR professionals featuring industry influencers. Project: To highlight solutions and thought leadership a survey was conducted and findings were developed into a story that aligned with the brand’s messaging. Project: To educated their audience and promote team members as thought leaders, an infographic was developed. 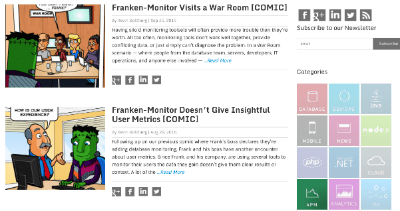 Project: A campaign highlighting the consequences of not using the right monitoring solution was developed featuring a cartoon character, “Franken-Monitor”. 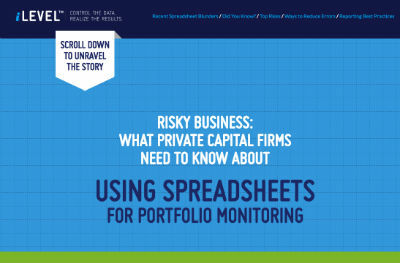 Assets included: a comic strip, infographic and research report. Project: An annual LookBook highlights the 20 best branding and marketing campaigns of the year across email, mobile, social, web and display. 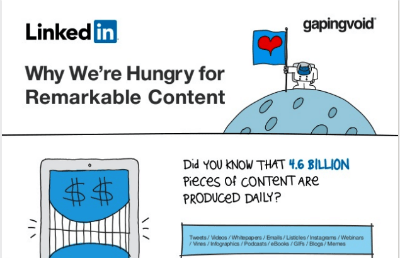 Project: Partnering with industry thought leader, Brian Solis and cartoonist, Hugh MacLeod, an eBook, SlideShare presentation, infographic and blog posts combined to highlight the need for remarkable content. 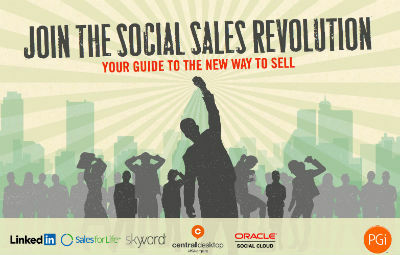 Project: Partnering with industry experts to discuss social selling and best practices, an ebook was developed, “Join the Social Sales Revolution”. 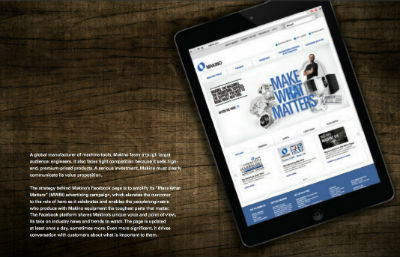 The eBook was amplified through a social campaign and a series of webinars. Project: To help a new sales effort, a brochure and sales battle card highlighting customers’ struggles, questions and concerns were created for the sales team. The sales support material also provided counters to objections, benefits and value points. Project: A 3-phased approach was launched to accelerate sales enablement. Phase 1 included research, aligning content and reviewing sales data. Phase 2 focused on repurposing content and developing a framework. Phase 3 involved administering sales enablement training tools and guides. Project: The company used Facebook to drive traffic to the main website and spark conversations about customer interests. 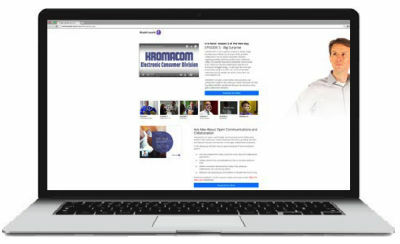 Content assets included: Product demos, customer testimonial videos, customer success stories and awards webinars, infographics and blog content. Project: After losing access to the main blog, Medium was used to host content and reach new audiences. After the main blog access was regained, Medium used continues to engage the new audience. 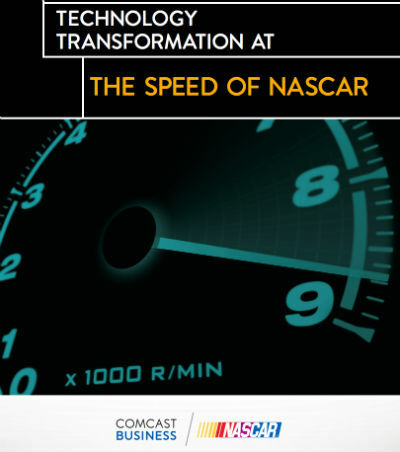 Project: To highlight the value of their solutions to NASCAR drivers, a video was launched on YouTube and content was promoted to the brand community and social channels. Additional thought leader content including white papers and articles complemented the video content. Winning is not always about ROI. At least not today. For a group of award winners, the performance of a number of them can seem underwhelming. However, the reality is, not all content marketing needs or should be about lead generation and transactions. Not everyone is ready to buy every day and to expect that out of every piece of content is shortsighted. A few trends: There are far more multi-format content campaigns being run as well as an increase in technology and data to customize experiences. One of the main missing links overall is the lack of amplification outside of advertising. So many of these programs would see much greater relevant audiences if amplification was: 1. Designed during the content planning 2. Included more than the brand’s own networks. All the same, these are examples with explanations for their purpose and virtually all of them have links to assets so you can see the content either in its native form or as a pdf. That information alone, can be useful to inspire ideas for your B2B content planning into the second half of 2016. 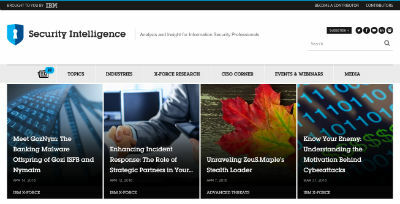 The post 38 B2B Content Marketing Case Studies for 2016 appeared first on Online Marketing Blog – TopRank®. 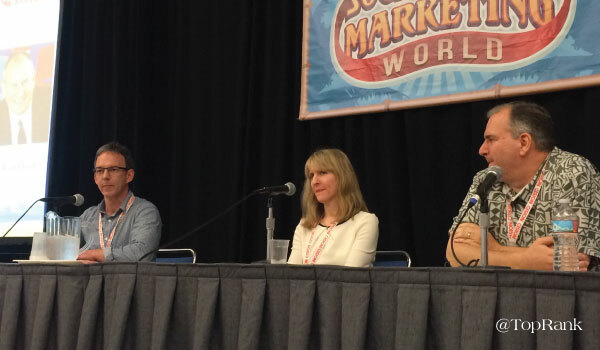 Last week, we had the privilege of participating in the annual Social Media Marketing World conference in San Diego. We joined over 3,000 other marketers and marketing influencers who were looking to explore the latest trends and best practices for social media marketing. From the moment (literally) that I stepped on the plane, I had a conversation about the upcoming conference with the woman next to me. It was her first time at a conference like Social Media Marketing World and she planned on spending the flight trying to figure out which sessions made the most sense for her to attend. Fortunately, I had done my homework and gave her suggestions on which sessions I thought could be of use to her. Because she was able to get her planning out of the way and we had a great discussion about our roles and the organizations that we worked with (I also had someone to spend hours in the airport chatting with on the way home). For me, a large part of a successful event is having the opportunity to meet great people like Darcy and learn more about what they’re doing on a day-to-day basis at the companies they work for. That coupled with thought provoking insights from speakers that have been very successful at implementing the ideas that they’re covering makes for a great conference. 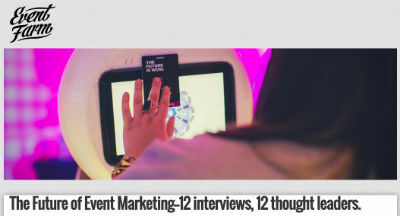 Below you’ll find some interesting statistics about the reach of the topics discussed both online and in-person at the event, access to all of TopRank Marketing’s blog coverage and some snackable tips that you can learn and share, even if you weren’t at the event. Just How Big Was Social Media Marketing World’s Footprint? 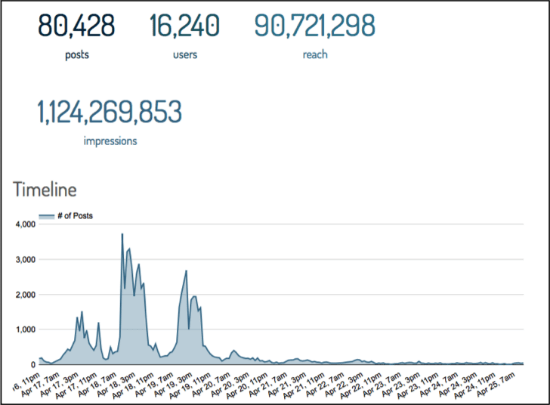 Using metrics gathered from Keyhole, we were able to get a sense of just how far the #SMMW16 hashtag could reach. All data that was collected was for April 17 – April 25. 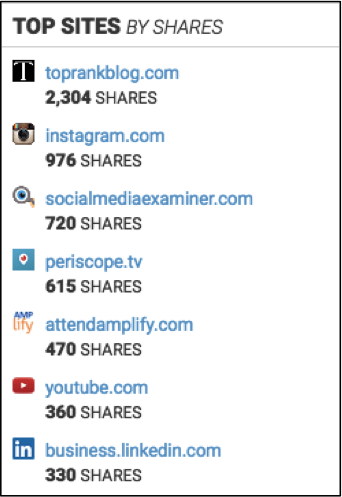 Zignal Labs also created an event wrap up post that showed that the content created on TopRankBlog.com drove more than double the amount of shares to the conference hashtag than the next referring website which was Instagram. 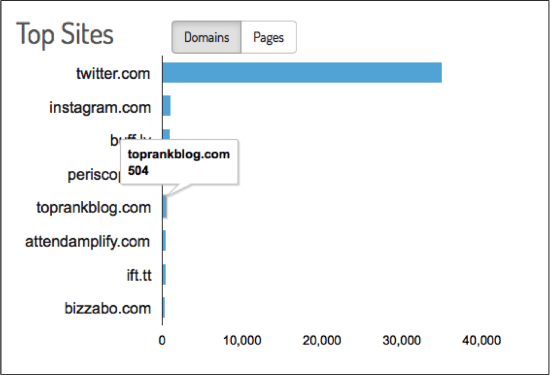 In looking at the top domains from Keyhole, it appears that TopRankBlog.com ranked only below Twitter, Instagram, Buffer and Periscope for the event. Facebook YouTube, Vine and many others did not have quite the reach and domain authority as our timely content. 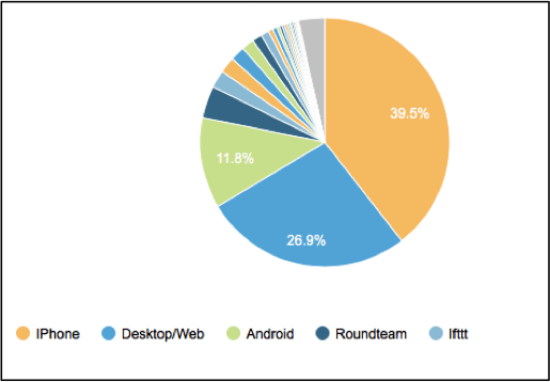 Not surprisingly, mobile (iPhones specifically) was without question the top device used to share information using the #SMMW16 hashtag. Not everyone in attendance was sitting there with a laptop furiously taking notes like I was, but there was not one person I saw that didn’t have a smartphone in hand for the majority of the conference. Many of the conferences that we attend also present the opportunity to create some great content to share with our online community. This is a great way to provide insights to people who are attending but can’t possibly go to every session, as well as those that weren’t able to make it this time around but still want insights into what is being learned. In total, we created 8 blog posts that either featured influencers at the event, or provided coverage of the sessions. 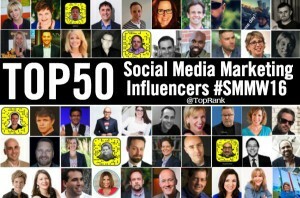 Based strictly on data collected from Traackr, TopRank Marketing CEO Lee Odden was able to shine a light on some of the top industry experts, influencers, brands and practitioners that would be speaking at Social Media Marketing World. Where Does Snapchat Belong in Your Digital Marketing Strategy? After attending this session, I walked away excited and encouraged about the possibilities that exist for marketers looking to find a way to better connect with their audience. This panel included two of the top Snapchat influencers that clearly know what they’re doing, as well as two brands that have made Snapchat a cornerstone of their marketing engagement strategy. It’s no surprise that today’s customers have so many options available to them. Companies that find a way to create a strong connection through their content efforts almost always win the business. To help you understand how to do that more effectively, this panel of speakers shared some amazing insight into how to incorporate more storytelling into your marketing as well as some exercises to put it into practice. What Does it Take to Build a Successful Client & Agency Relationship? Many brands have not only one, but many agencies that they partner with to help support their digital marketing initiatives. 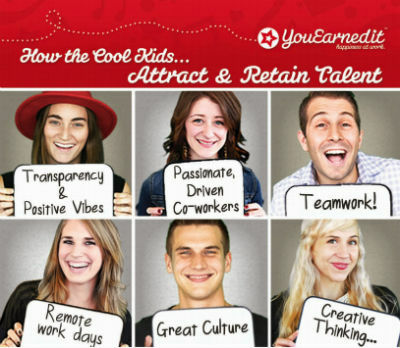 These relationships can provide many benefits, if you’re working with the RIGHT companies to help meet your goals. This panel of experts included TopRank Marketing CEO Lee Odden, Mitch Joel and Jessika Phillips. Is Your Brand Equipped to Create a Successful Social Care Program? A social care program is not one that can be tip-toed around. If you begin setting an expectation that customers can communicate with you on social platforms to solve their problems, you’d better be there to answer their questions. A social care program is something that requires planning and technology to truly deliver value to your customers. It’s always a treat to have representatives from a platform present at a conference and give insight into how to get the most out of their tool. 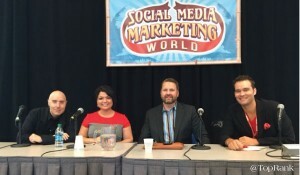 Well, that is exactly what happened at Social Media Marketing World and Jason Miller and Alex Rynne of LinkedIn did not disappoint. They focused on four major opportunities with LinkedIn and provided sample objectives, key metrics and action items for being successful. People learn visually which is why so much opportunity exists within platforms like Instagram. But to really stand out to your audience (and attract new audience members), it is just as much about the stories that you’re telling with the content as the visuals themselves. This panel included awesome Instagram’ers from Adobe and the San Diego Zoo, both of which shared their unique perspective on what has made their Instagram strategy so effective. 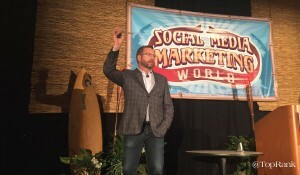 In his second session of the conference, TopRank Marketing CEO Lee Odden pulled out the big guns and shared some amazing insight into the world of influencer marketing. By now, most companies recognize that they should incorporate influencers into content programs to serve many benefits including advocacy, variety of content, as well as increased engagement and reach. The who, the how and the what are all very important elements to consider before embarking on an influencer marketing initiative. If you’re looking for some best practices, tools and fails/wins of influencer marketing from someone with invaluable experience, be sure to check out this post. Thank you to the team at Social Media Examiner for putting together yet another great conference filled with innovative and actionable tips for maintaining and improving social media marketing strategies. 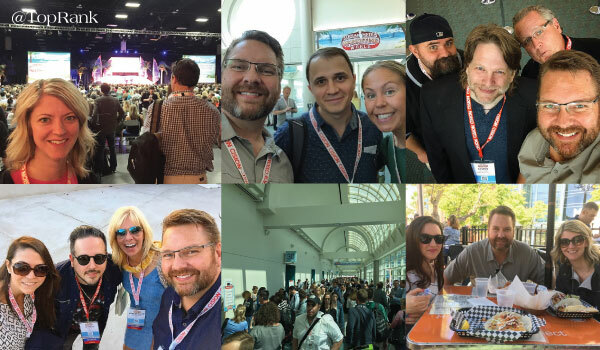 I’ve shared some of my top takeaways, I’m curious to know what you found to be the most useful piece of information you learned at #SMMW16. 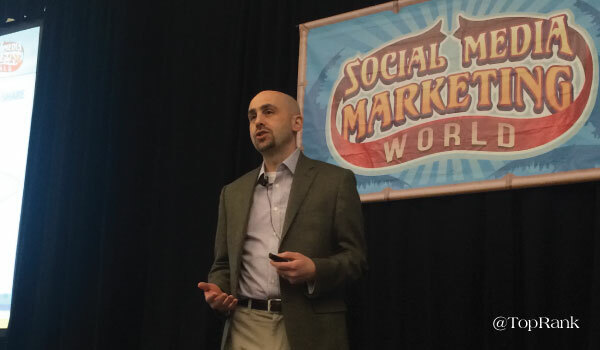 The post Social Media Marketing World 2016: Insights, Top Blog Content & Words of Wisdom appeared first on Online Marketing Blog – TopRank®. 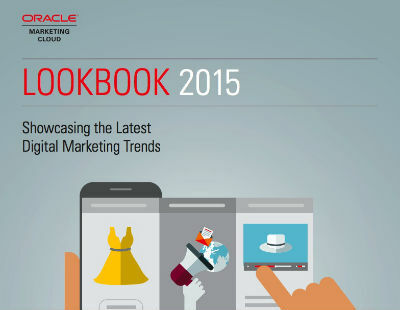 What were your top marketing news stories this week? I’ll be back next week with even more online marketing news! Have something to share? Tweet me at @Tiffani_Allen or @toprank using the hashtag #trnews! 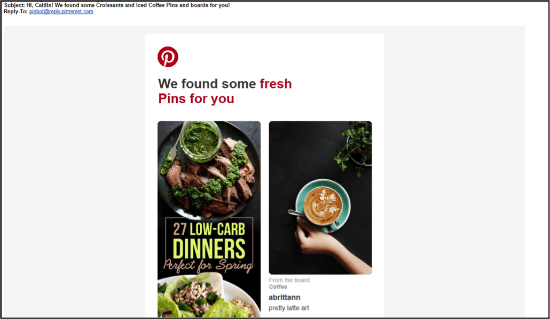 The post Online Marketing News: Social Made Easy, Disruptive Ads and Facebook Switches appeared first on Online Marketing Blog – TopRank®. Only two months after launching in 2010, Instagram had already amassed one million users. Less than a year later, they had already climbed to ten million users. Talk about a welcome solution to what is often seen as a saturated marketplace. Today, Instagram boasts over three hundred million users. Recent research has also found that over 50% of individuals on Instagram follow brands on the platform. All of the information above should lead marketers to one simple conclusion: Instagram has definite potential for engaging both B2B and B2C audiences. 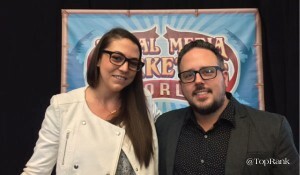 Earlier this week, I had the privilege of attending a session at Social Media Marketing World that included Matt Rozen, the Director of Social Media at Adobe and Jenn Beening, the Social Media Planner for San Diego Zoo Global. Both of these companies have done amazing things with their branded Instagram accounts and shared some very useful tips for other companies trying to improve their strategy for marketing their brand through Instagram. Especially when venturing out on a new platform where you don’t have a lot of experience, it can be easy to fall into the trap of only creating content about yourself. While Instagram can be a great place to show a behind-the-scenes look at your company, it should also focus on what your audience cares about and shares on Instagram. Adobe for example, has dedicated a lot of their time and strategy to showcasing the amazing images that other members of the community has taken and then shared them with their followers. This serves a couple objectives. First, when a large company like Adobe publishes something, others take notice and this creates a great opportunity for the user whose photos were shared to increase their network. Second, they are able to curate some really awesome imagery that they would not otherwise have access to, which creates more value for their followers. A picture, or a video is often worth 1,000 words. We’ve all heard studies about how people learn and connect visually. Great visual content on platforms like Instagram present a great opportunity to tell stories that will engage people with your content. The San Diego Zoo has (and takes advantage of) so many opportunities to tell the stories of the beings that they care for on a daily basis. Everything from stories about the most recent babies to join the world to interesting facts about sloths to draw in new visitors. Each image and video is touching in its own right and paints a picture of what sort of experience visitors will have when they go to the zoo. Both representatives from Adobe and the San Diego Zoo gave great advice about how companies can go about tackling their content planning for Instagram. The team from the San Diego Zoo takes a look at the upcoming week to see if there are any updates planned for release (events, baby animals being born, etc.) and they make sure to include those as image or video post on Instagram to correspond with the release. They also spend time curating user generated content and evergreen content that can be shared throughout the month. All of their posts are organized in Google Drive to create easy access for anyone that is involved in the process. If they are working on a larger campaign, they’ll plan out the content much further in advance. 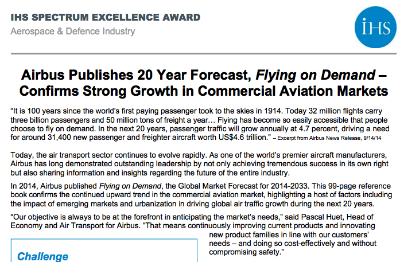 An example is that of their upcoming 100th anniversary in May. Their goal is to cover 100 years at the San Diego Zoo and they’ve already begin reaching out to their community and begun asking them to share their experiences at the Zoo using the hashtag #SDZ100. They have a whole timeline they are creating for the 100 year anniversary and will be incorporating content from multiple sources to create the best user experience possible for their guests and followers. A large part of Adobe’s strategy is to publish curated or User Generated Content (as we covered in tip #1). A creative company like Adobe recognizes the opportunity that exists within their community of creative designers. They have an opportunity to tap into that creativity not only to feature their audience and get them more involved, but to provide some really killer content for the rest of their audience as well. Much of the time that the Adobe team spends planning for Instagram content is used to curate the best of the best when it comes to visual content. When it comes to your approach for creating content on Instagram, the goal should always be quality over quantity. If you were faced with the option of publishing three mediocre posts a week or one impactful, creative post per week, which do you think would best serve the needs of your audience? The content you publish on Instagram should be genuine, high quality and align with the needs of your audience. When it comes to managing engagement on Instagram, branded hashtags are a great way to track how your audience is responding and resharing content. Additionally, with the quick access to Instagram on your smartphone, you can check, share and like information on the go that represents the brand in a positive light. Instagram Marketing, Are You Prepared? If you aren’t already, be sure to follow both Adobe and the San Diego Zoo on Instagram for more inspiration for your own posts. You can also follow TopRank Marketing for posts from our team. Instagram (like other social media platforms) is one that requires attention and creativity to not only capture new followers, but keep their attention on an ongoing basis. What have you found has worked (or not worked) with your approach to Instagram marketing? 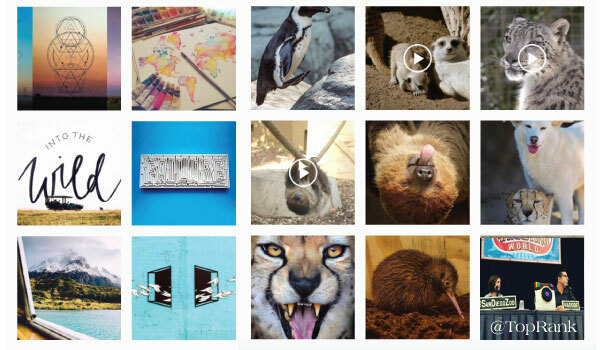 The post What Brands Like Adobe & The San Diego Zoo Can Teach us About Instagram Marketing appeared first on Online Marketing Blog – TopRank®. We’ve all heard the stories of brands failing and flailing on social media as they try to respond to customer service inquiries. And here’s why. Most companies are barely set up to meet expectations, let alone exceed them. So when they fall short, they are falling short of the bare minimum, creating friction and negative experiences between the brand and its customers for everyone to see. Add that to the fact that some companies are doing it so well and therefore aiding an increase in customer expectations. 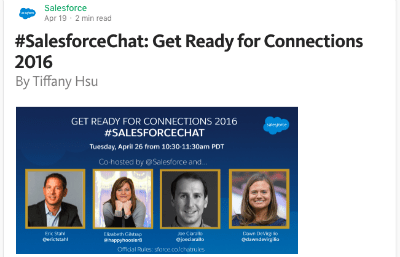 In fact, customers now expect a response in an hour or less after reaching out to a company. For the first time at Social Media Marketing World, there were sessions dedicated to building a social infrastructure to enable your company to exceed customer expectations. In his session, Dan Gingiss, the head of Digital Marketing at Humana, provided 8 building blocks to help marketers create a world-class social care program. The philosophy you develop should be crystal clear about what you’re doing and who you’re doing it for. Everything that comes next should leverage the philosophy as a guiding principle and help inform the strategy. Take the time to first understand your products and/or services. Without a native understanding, any interactions as a customer service group within the organization will fall short. Availability, what is the capacity to take on social care within your organization? Response time, what is your current response time and what is the goal? What languages need to be accounted for? Social media platforms currently monitored or that need to be monitored. 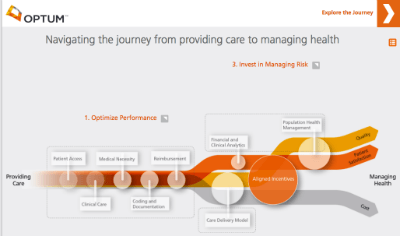 Put simply, the backbone that allows you to effectively scale social care efforts. What platform do you need, an all-in-one or a dedicated service platform? Investment you are prepared to make. Platform integrations necessary to be successful. Technical and strategic support required. Innovation roadmap from the platform, what are the product updates on the horizon? Social Care programs won’t work if they’re created by the marketing team and then handed over to traditional customer service teams. Each team has a different skillset and training and there is a potential for seemingly small mistakes that can have a significant impact if social care is not handled by the right team. Creating a social care program will often come with the need to hire people and set up the infrastructure to effectively scale. Skillsets / job descriptions, what type of person do you need and what role does the hire fill in your overall plan? Customer service vs Social Media background. If you can’t find or afford to hire someone with both skill sets, understand which one you are getting and have training ready to fill in the gaps. Hiring / Interviewing, determine who is involved in the process upfront to avoid delays after interviewing starts. Organizational structure, where does this fit, who will the person(s) report to? Feedback loop, how and how often will feedback regarding performance of the team be shared internally? Educating the team on the business, philosophy, technology, best practices and channels for creating a successful social care program. Different parts of the business, teams on the front lines of social care, have to know about all facets of the business or at least have a way to quickly find answers. Most frequent types of inquiries, and most common solutions. Understanding of each social media channel. Uniqueness of public customer service, and how to avoid missteps. The steps which enable you to deliver superior customer service and business results, using your philosophy, technology, and people. 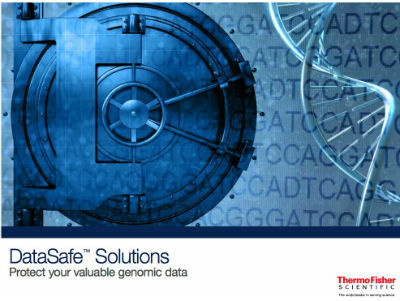 An effective process should have enough information to keep you safe, but not so much that it slows you down. When to take discussions offline, and how to show the community the issue was resolved. Escalation procedures for a variety of different issues, when to involve PR vs HR for example. Empowering your team to resolve problems and/or provide ‘surprise and delight’ moments. 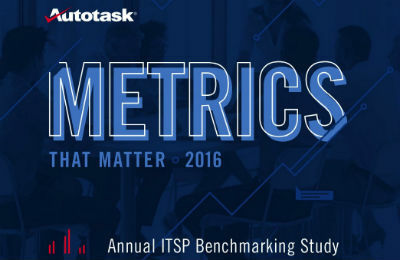 Define which KPIs need to be reported to determine team performance, and report up internally on successes and areas of opportunity. First response time, how long is it taking to initially respond? Resolution time, how long is it taking to provide a satisfying solution? Social agent / office performance. Daily/hourly performance, see trends about volume and its effect. Internal Integration to ensure the rest of the business is hearing the voice of the customer. 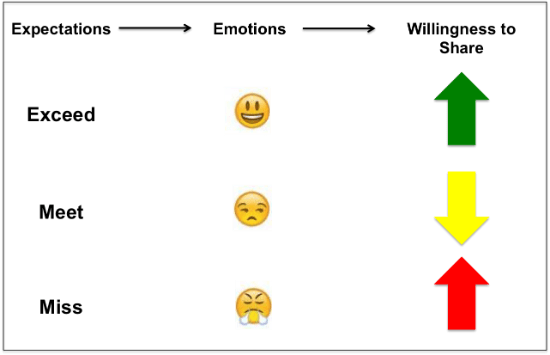 Ultimately, you want to make sure your company is using social care as a feedback loop for product development so that your team isn’t continually having to address the same problems. 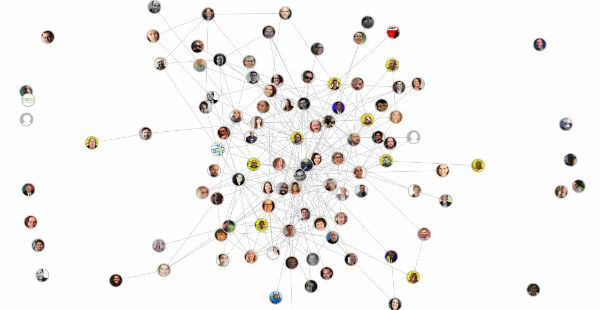 Which areas of the company will benefit from – and use – social feedback? Tracking business response and circling back with the customer even if it’s weeks or months later. External integration, and starting to use the voice of the customer to influence that customer’s future experiences with the brand. For example, Hyatt is able to take the information they know about a customer (a request for a hypoallergenic pillow for example and apply that to all future stays) to create better experiences. Technology, how will you make this happen? What pieces are missing? Data capture, where are the current data inputs and how is that information stored and accessed? Data activation, when is the data triggered and to what department? Does a Social Care Program Make Sense for Your Organization? Brands that are responsive and in-tune with customer needs are building brand affinity and trust with customers. 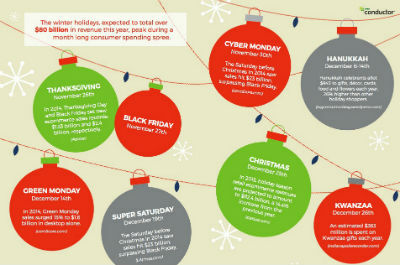 Those that are not, will surely be forgotten or discounted if a competitor is responsive. 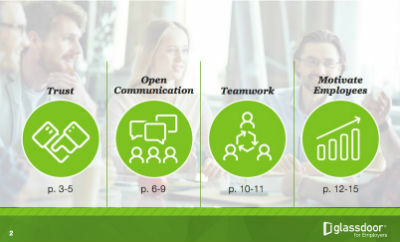 After learning more about the 8 building blocks above, do you think that your organization has a need and the potential to develop a social care program? The post 8 Building Blocks to Create a World-Class Social Care Program appeared first on Online Marketing Blog – TopRank®. The conflict between Cinderella and her stepmother, that didn’t stop her from finding a happy ending? The irony that Jack won a ticket on the Titanic at the last possible moment, only to slip away into the icy waters of the Atlantic? The various social norms that were crossed, broken or all but forgotten in Alice in Wonderland? As marketers we crave the opportunity to have top-of-mind awareness with prospects and customers when they hear certain phrases or are thinking about ideas that compel them to take action. Building that awareness doesn’t happen overnight. 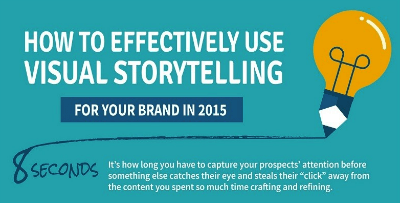 It takes time and the right injection of storytelling into your digital marketing strategy. Yesterday at Social Media Marketing World, I was able to gain insight into just how brands can do this from a panel of expert storytellers in a session moderated by Park Howell that included Tim Washer, Kathy Klotz-Guest and Ron Ploof. Below we’ll explore three ways and three exercises to help brands tell better, more impactful stories to create a lasting connection with their audience and compel them to take action. To create a more compelling story, start with documenting the problem your brand solves and everything that can happen before you enter the picture. This is the conflict and will become the cornerstone of your story. Are You Leveraging Your Story to the Fullest? Knowing where to begin incorporating storytelling into your content marketing strategy can seem like a daunting task. Fortunately, with the help of today’s speakers, you can turn it into a more manageable opportunity. Remember that you may only be able to tackle one story at a time, and you won’t want to lose all the great ideas you or your team developed. One way to avoid that is to create a story bank that you can pull from constantly. What are the brands that you think create and tell amazing stories? The post Learn How to Compel Your Audience to Act with These 3 Storytelling Tips appeared first on Online Marketing Blog – TopRank®. 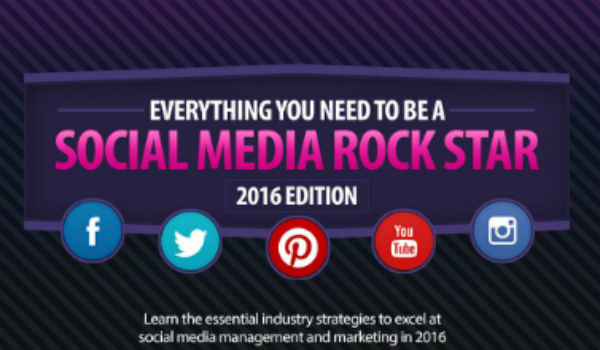 One of the largest and most influential social media conferences, Social Media Marketing World, starts this week in San Diego. 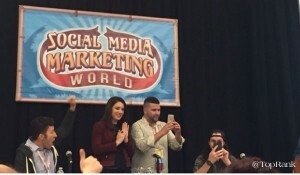 Bringing together a mix of industry experts, influencers, brands, practitioners and social media enthusiasts, #SMMW16 represents a confluence of interests about all things social media that is virtually unmatched. At the center of the conference is the program featuring big name speakers like Gary Vaynerchuck, Guy Kawasaki and Mari Smith. There are over 100 speakers in all that will be giving presentations and imparting their knowledge. With such a concentration of authority, expertise and industry influence, I wanted to see who the most influential speakers are, relative to “social media”. The influence of a speaker affects who follows who and can guide which presentations to attend. Before too many people get excited and think this is a list of people with the biggest networks, or the people who are generally most influential, I will clarify: this is a list of speakers at SMMW16 that are most influential online about “social media” and “social media marketing” based on their content, how their networks engage with them and reach. The combination of those factors determine the ranking. I think the list is a great mix and representation of the voices on social media topics. I can’t wait to see their presentations! and Is There A Future For Content Marketing? Internet Marketer, International Keynote Conference Speaker – Joel Comm, Inc.
CEO / Founder – Casual Fridays, Inc.
CEO – Stephanie Sammons Inc.